When I meet up with geophysicist Magnus Guðmundsson in April 2017, the volcano Katla has been rumbling all week, creating a steady drumroll of small earthquakes. Guðmundsson, head of the earth science department at the University of Iceland, appears exhausted. The volcano’s activity has made him something of a pop star, and the local media have been hounding him for updates. We’re standing on craggy, rocky soil, just off the main road from Reykjavik, the capital of Iceland, and about 30 kilometers from where Katla’s mouth hides beneath an enormous cap of ice. 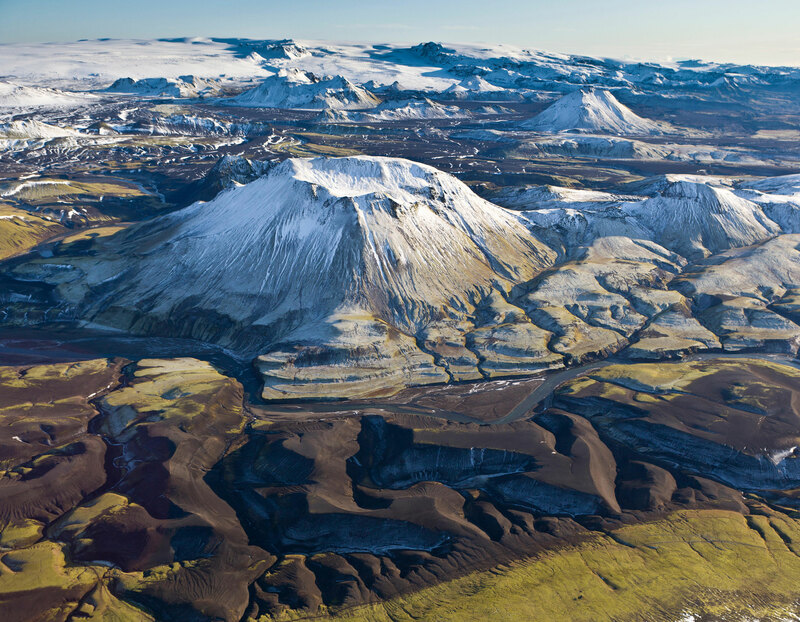 Guðmundsson had been up in a small plane that morning, inspecting the huge plug of ice jammed into Katla’s crater. The frigid plug that covers Katla’s mouth is melting. Climate change is to blame, much as it is for shrinking the ice that covers many of Iceland’s volcanoes. Guðmundsson’s research has caused him to worry that the loss of this ice could increase the number and explosiveness of eruptions from the nation’s 30 active volcanoes. Eruptions that involve both magma and water typically react explosively. Guðmundsson says that at the end of the last ice age about 11,000 years ago, the rate of eruptions in Iceland increased thirtyfold. He believes that the melting of glacial ice today could drive a similar increase. Iceland sits atop the Atlantic Ocean, buoyed on a plume of hardened lava. The island is no stranger to volcanic menace. In 2010, Eyjafjallajökull released clouds of ash that closed airspace as they drifted over Europe, disrupting air travel for a week. In 1783, ash from Laki killed 9,000 people, along with much of Iceland’s cattle and sheep, before the ash entered the jet stream, spreading famine to thousands. In 1918, Katla erupted, its fiery magma melting enough of its icy cap to trigger a flood that sent 300,000 cubic meters of glacial meltwater flowing out each second. For a few hours, Guðmundsson says, the flow was comparable to the Amazon River. “These are the most dangerous of volcanoes,” Guðmundsson says. They are also the kind that will increase in frequency and potency because of the volcanoes’ shrinking ice caps. For as an ice cap melts, it relieves the pressure put on the volcano caused by the weight of the ice, which can be hundreds of meters thick. This can cause magma chambers in the Earth’s crust to swell, become unstable, and erupt. It’s similar to how “the cork of a champagne bottle flies into the air when it has loosened sufficiently,” Guðmundsson says. Melting ice can also interact with the hot magma, making it more likely to cause large explosive eruptions. The eruptions can turn into destructive pyroclastic flows when the momentum carrying the magma aloft is exhausted. The eruption plume collapses, turning into an avalanche of searing hot ash, rocks, and lava that travel up to 200 meters per second over the landscape. Back in the valley on that April day, Guðmundsson bounces between two activities: teaching a group of graduate students to interpret the conditions below the craggy surface and answering media questions. In that moment, both are important. Katla’s next major eruption could be in the next year or the next decade. Either way, it is coming. “We need to prepare ourselves for the future,” he says. 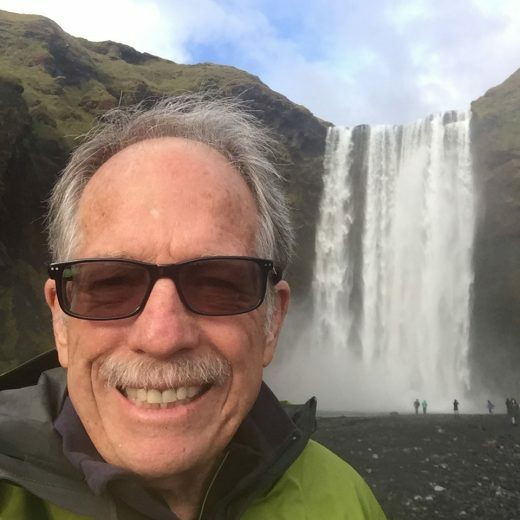 Cite this Article: Michael Tennesen “Volcanoes Get a Kick from Climate Change,” Hakai Magazine, Feb 2, 2018, accessed April 26th, 2019, https://www.hakaimagazine.com/news/volcanoes-get-a-kick-from-climate-change/.